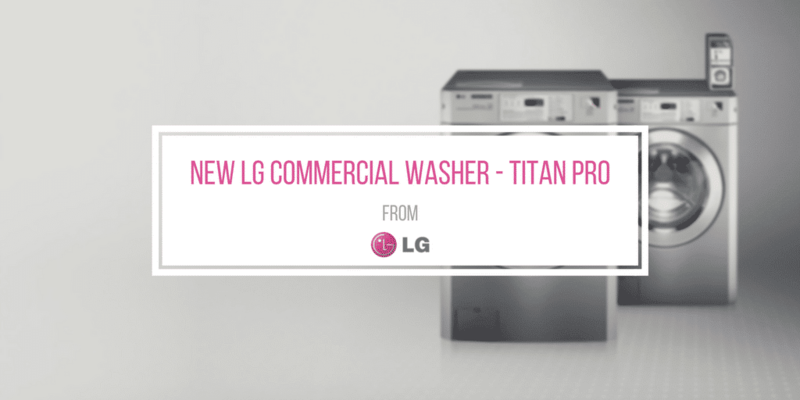 In order to better serve the on-premise laundry, vended, and multifamily industry, LG created the 35 pound capacity commercial washer called the LG Titan Pro. Following suite behind LG’s previous machines, the Titan Pro delivers unrivaled programmability, energy-efficiency, installation flexibility, and overall durability. This results in happier customers, and an overall more profitable business for you, the owner. 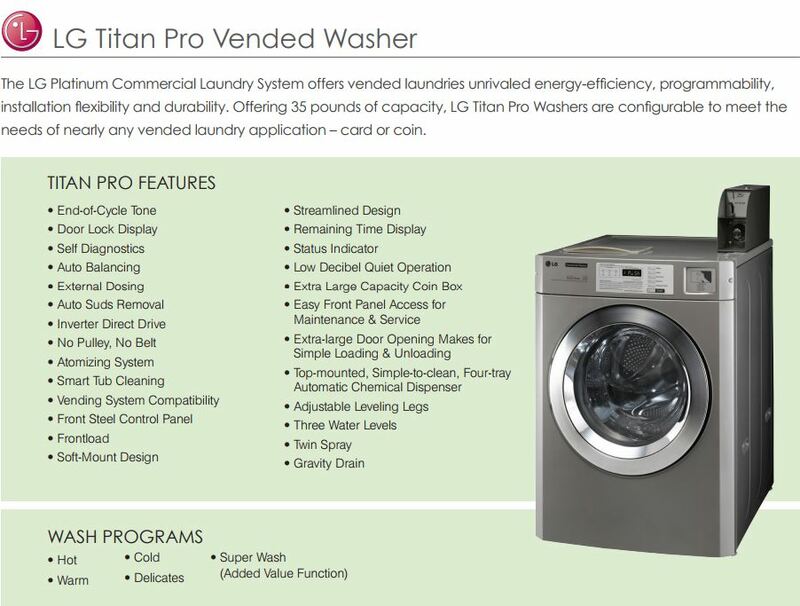 In the following paragraphs, we will break down how each industry can benefit from introducing the Titan Pro into their laundry room. 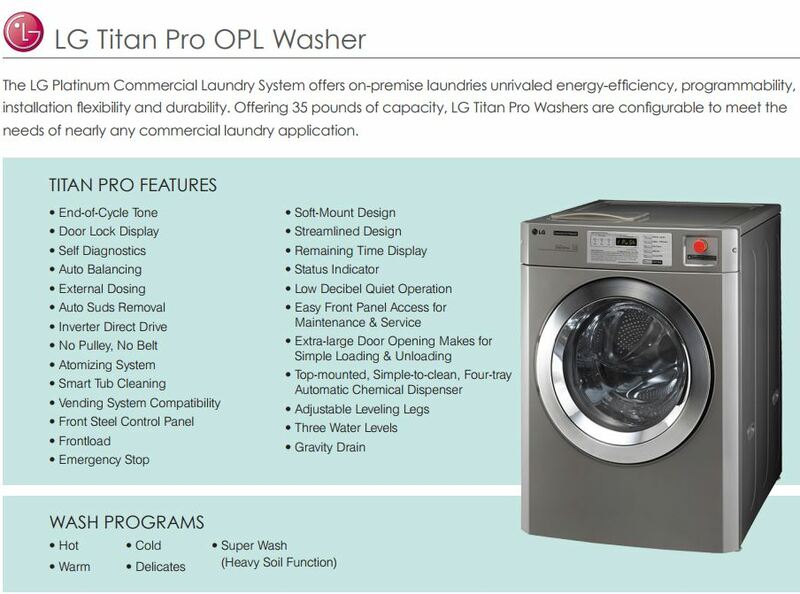 For on premise laundry, the Titan Pro fills a much needed gap for many facilities managers. With 35 pounds of available capacity, workers are able to wash larger items and load sizes that the previous Platinum series would not be able to handle. This enables higher turnover and more flexibility for when other machines are in use. With the smaller 22 pound capacity Platinum series, large items like sheets and small blankets should be avoided. However, with the auto-balancing feature, the Titan Pro can effectively wash items even if the drum isn’t completely full. Whether you work at a veterinary clinic, nursing home, assisted living facility, hospitality, party & linen rental, health club, salon, spa, or a dairy farm, the Titan Pro is perfect for your laundry needs. Coin laundry is another area that can benefit from incorporating a 35 pound LG commercial washer. As many store owners would know, incorporating soft mount washers is a critical step in making their laundry more profitable. This is achieved by more machine turnover and less utility consumption for drying. With the Titan Pro, store owners can expect a superior soft mount design that reaches extract speeds of up to 400G. At these speeds, clothes come out feeling less wet. Believe it or not, this causes customers to think your dryers are hotter than they actually are! There are a few reasons why the Titan Pro would make an excellent addition to your coin or card laundry. Store owners know one of the problems with small machines is the occasional inability to balance a load. This causes articles to leave the washer soaking wet – frustrating customers. With the Titan Pro’s auto balancing feature, you won’t have the issue of a load not spinning out due to poor weight distribution. Owners will also sleep easy knowing that the machine has a reduced risk of breaking down. This is because there is no pulley or belt for the motor. In addition, the Titan Pro is highly programmable. There are three different water levels, auto suds removal, and a low decibel operation. All of this partners together to ensure that the Titan Pro is the perfect addition to your coin laundry.